Writings: Will Biosecurity Queensland bluff the new fire ant oversight committee? Likely, without public scrutiny too. On 26th July, the Australian Agriculture Ministers’ Forum agreed to extend the National Red Imported Fire Ant Eradication Program in south-east Queensland by another ten years at a cost of another $400m. This is on top of the $400m Biosecurity Queensland has wasted over the past sixteen years with the result the infestation is now ten times worse than when fire ants were first detected around Brisbane in 2001. But this time, the program will come under the scrutiny of a new permanent, oversight committee. But, will this committee do any better at holding Biosecurity Queensland to account than previous oversight committees, run by the Commonwealth Department of Agriculture and Water Resources? There is a good chance the new committee will fall for the same old stories that previous oversight committees have fallen for. But opening up the program to public scrutiny could improve the oversight and governance of the program. The National Red Imported Fire Ant Eradication Program is funded by the Commonwealth and all State and Territory governments. Queensland’s contribution is just 10% of that, but national oversight committees have allowed the Queensland government to make 100% of the decisions on how the program runs. 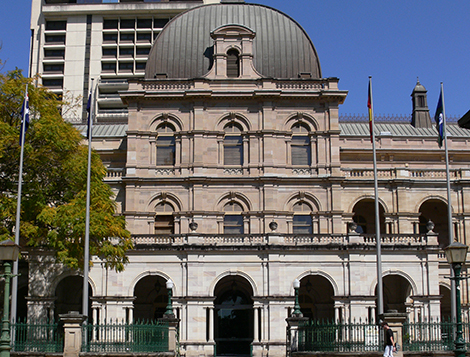 Consequently, the fire ant infestation has been a cash-boon to Queensland Treasury, bringing in around $360m external money over sixteen years. But only as long as Biosecurity Queensland promises it can eradicate fire ants and the oversight committees accepted Biosecurity Queensland’s stories that it is. Reported to the Ministers’ Forums that Biosecurity Queensland was eradicating fire ants when multiple independent scientific reviews of the program said it wasn’t. Allowed Biosecurity Queensland to waste public money on unscientific follies. In 2001, when fire ants were first detected, fire ant experts from the USA said we had an outside chance of eradicating fire ants if we immediately baited the whole infested area by air. Instead the oversight committee allowed the Queensland government to create an expensive, trouble-riddled, slow and ineffective jobs program for 400 unemployed people to find and kill fire ants. It wasted public money and fire ants spread. In 2009, with the fire ant infestation more than double what it had been in 2001, the oversight committee agreed to fund Biosecurity Queensland’s desperate bid to save the program with untested aerial surveillance technology to detect fire ant nests from the air: again, against scientific advice. When the technology was finally decommissioned in 2015, it had wasted millions of dollars of public money, found 38 nests, missed thousands and the fire ant infestation blew out from under 100,000ha up to 350,000ha. Accepted Biosecurity Queensland’s unsubstantiated claims that it has eradicated some populations of fire ants. the committee had no regular timetable for oversight meetings, no standing agenda and members’ attendance was inconsistent. the committee had not given Biosecurity Queensland any performance indicators to report against. Instead, it accepted progress reports that were mere ‘narratives’ that did not report against targets, did not explain why less was done than planned and did not assess the cost-benefit of program initiatives. The new oversight committee will have its work cut out for it. The Queensland government still sees the fire ant program as a source of external funding. In recent months, Queensland Treasury gave Biosecurity Queensland $900,000 to develop the next ten-year fire ant eradication plan to keep the money coming. On 26th July, Queensland Agriculture Minister Bill Byrne successfully touted that plan to the Ministers’ Forum. He outlined that plan in an interview he gave to ABC Rural radio on 27th July. He said there was an opportunity ‘to exploit this window of opportunity to eradicate fire ants in the national interest’ and the best advice he has is that it is 90% certain to be effective. Unless Minister Byrne has scientific evidence not made accessible to the public under Right to Information processes in Queensland, there is no scientific evidence of a 90% chance of eradication. And in 2001, fire ant experts from the USA, said there was only a narrow window of opportunity to eradicate fire ants then. The infestation is now ten times worse. Minister Byrne said he convinced the Ministers’ Forum to extend the eradication program by saying that the alternative was to do nothing: which would be a disaster. The alternative to an eradication program is not ‘doing nothing’. The alternative is the aggressive containment program that fire ant experts from the USA recommended in 2001: tight controls on the movement of fire ant carriers like soil, mulch, compost, turf and potted plants from infested areas to fire ant free areas. Because Biosecurity Queensland failed to do this, the uncontrolled movement of fire ant carriers is the main cause of the steady and unabated spread of fire ants into south-east Queensland. In 2014, with the fire ant infestation well entrenched in south-east Queensland, the Ministers’ Forum commissioned a review to compare the cost-benefit of a continued eradication program with an aggressive containment program to reduce their spread in south-east Queensland and to stop them spreading into the rest of Australia. That review, well supported by Biosecurity Queensland who knows the Commonwealth and other States will not fund a containment program, did not conduct a comparison of the cost-benefit of an eradication program with an aggressive containment program. Currently, there is no scientific or economic evidence that eradication is the most prudent use of public money. So, on ABC Rural radio, Minister Byrne said there would be a ’doubling of the current amount of treatment and surveillance’ in the new ten-year plan. He did not say if that would be anywhere near enough and he made no mention at all of any containment program to stop the movement of fire ant carriers into fire ant free areas. Not only is Minister Byrne certain that Biosecurity Queensland has a 90% chance of eradicating fire ants, he says that the Queensland Department of Agriculture and Fisheries is now home to ‘enormous capability and intellectual capacity and experience’ in dealing with fire ants. This is the same intellectual capacity that produced a science program the 2010 review called fragmented, ad hoc and largely fruitless. This is the same intellectual capacity that wasted time and money on aerial surveillance technology that mostly found cow pats and let the infestation triple in size. This is the same intellectual capacity the Capability Review in 2015 said was unable to address current or future biosecurity needs. Responding to questions about a culture of secrecy in the fire ant program, Minister Byrne denied that a ‘culture of secrecy has locked the community out’ of the fire ant program. It is true the public have done their bit: 70% of new detections have been made by the public. But the public can’t remain vigilant if they don’t know where fire ants are. Biosecurity Queensland has not up-dated its Fire Ant Biosecurity Zones map in over a year and does not report new infestations, for example, in Brookfield and Bracken Ridge. Minister Byrne told ABC Rural radio he had never witnessed any culture of secrecy in the fire ant program: then contributed to it. The new National (Red Imported Fire Ant Eradication) Program Steering Committee will have its work cut out for it because Queensland Government are past masters in obfuscation and cover-up of the fire ant fiasco to keep the money coming into Queensland. post all program reports and reviews freely on-line in a timely manner. Based on my experience of writing some of the program’s early reports and on documents I have accessed under Queensland’s slow, expensive and limited Right to Information processes, I have been documenting and publishing the difference between what program reviews say and what Biosecurity Queensland reports. Easier and quicker access to program documents would improve public scrutiny of the program. Open itself up to first-hand information about the program from the public or field staff, unfiltered by Biosecurity Queensland managers. Biosecurity Queensland's Fire Ant Fiasco and Cover-up.